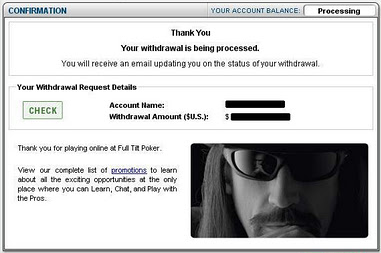 Return of Full Tilt Poker Funds Coming Sooner Than Later? Was following that hearing this afternoon of the Senate Committee on Indian Affairs regarding “The Future of Internet Gaming: What's at Stake for Tribes?” Some interesting and suggestive talk about the prospects for federal legislation going on there, with the tribes’ potential involvement being foregrounded throughout. 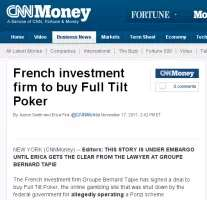 Right near the end, though, I was distracted by news regarding a possible deal having been struck between Full Tilt Poker, Groupe Bernard Tapie, and the Department of Justice. Like I say, the status of the deal is not 100% certain quite yet. Shortly after the CNN Money article was posted and removed, the International Business Times reported that the deal remained up in the air, choosing the headline “Settlement Stalled?” for their report. Meanwhile, both Vin Narayanan of the Casino City Times (@CasinoCityVin) and Andrew Feldman of ESPN (@ESPN_Poker) tweeted within the last hour that they’d spoken with representatives of the DOJ who refused to confirm or deny any deal had been struck. Quite a development, this, if the deal is indeed about to be finalized and the news hasn’t been prematurely delivered. I imagine if the FTP shareholders do agree to the deal we should hear some sort of confirmation soon from the DOJ. Would imagine FTP will have a statement of some sort, too. (EDIT [added 7:30 p.m.]: FTP has; see here.) 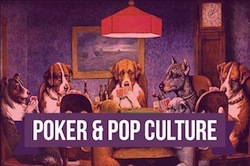 Kind of par for the course, really, for such a story to “break” so uncertainly like this, given the way all of the previous chapters in the ongoing Full Tilt Poker serialized drama have been shared. I guess we’ll stay tuned. 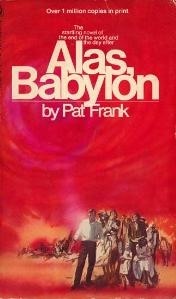 And perhaps some of us will get ready to fill out those applications to the DOJ for the return of our cabbage. I suppose a problem may arise in there somewhere for folks who liked to avoid paying taxes on their winnings, though it is hard to say for sure exactly how that will go. In any case, it’s funny to compare such a prospect to how things used to look whenever we withdrew from Full Tilt Poker.